SKU: BRAC-STAG-H. Categories: Bracelets, Cuffs & Arm Rings, Heavy Braided Bracelets. Along with the powerful attributes of abundance, prosperity and virility, the stag is known for its untamable nature. Take a leap on the wild side with our Stag Bracelet! 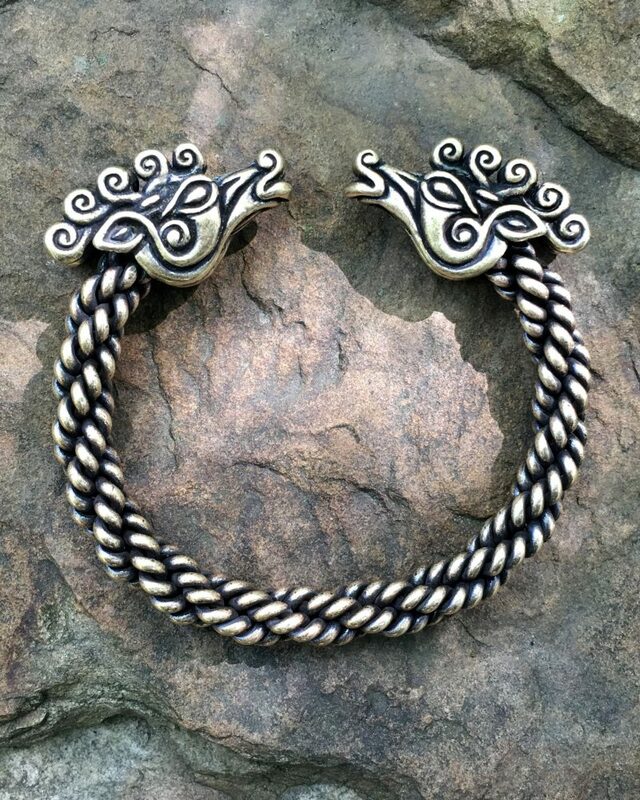 Our Heavy Stag Bracelet is not for the feint of heart! It is constructed with a heavy and very substantial braid of wire, and is approximately 3/8 inch (10 mm) thick. It is available in bronze and sterling silver. 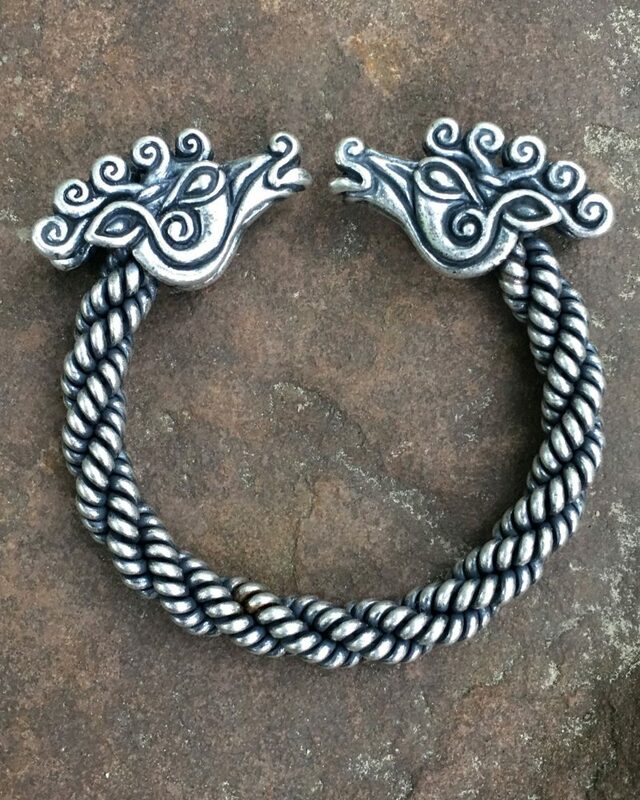 We also offer a Medium Stag Bracelet. Deer, which are indigenous to every continent except Antarctica and Australia, frequently appear in art and stories from cross the ancient world, and are one of the very first animals depicted by man. Before agriculture or animal husbandry, venison was a staple food. Early hunters would paint deer on the walls of caves, or carve then in antler or bone in hopes of invoking a successful hunt. Stag antlers also have symbolic meaning. They can symbolise rebirth and reincarnation because of their ability to be shed and regrown each year. The way in which antlers are rooted in the skull and reach into the sky evokes a connection between earthly concerns and the divine. There is Mesopotamian legend that describes a great stag who crosses the sky every day, bearing the sun on its antlers. Similarly, there is a Celtic myth that tells the story of the Horned God of the Hunt. In this story the stag is hunted and utimately slain by a powerful hunter in the depths of winter, thereby freeing the sun and ushering in a new spring.